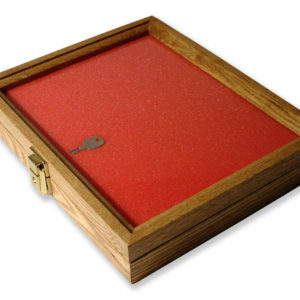 Display case size 24 X 19 X 5.08cm (9.5” X 7.5” X 2”) Oak with brass fittings. 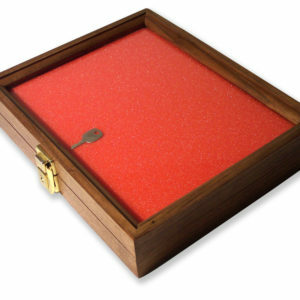 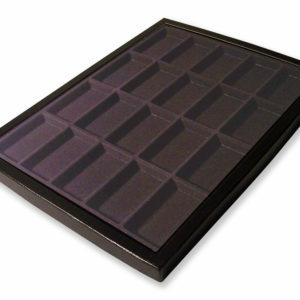 This case is of solid wood construction (Oak) with a hard board backing. 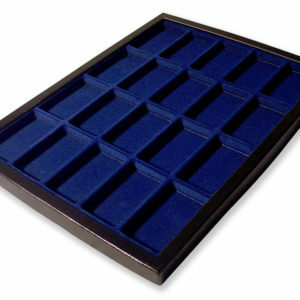 A foam pad with red foam cover lining keeps your items secure against the glass lid. 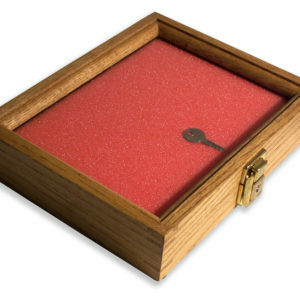 The case has brass hinges and keyed lock to keep your items safe. 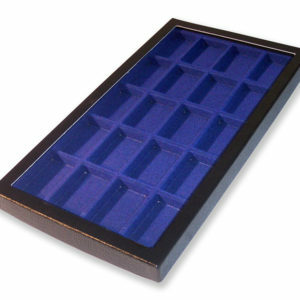 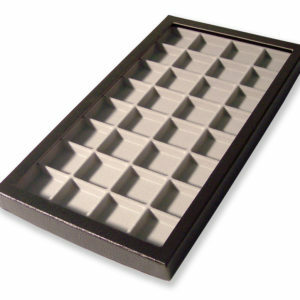 Display case size 24 X 19 X 5.08cm (9.5” X 7.5” X 2”) Walnut with brass fittings. This case is of solid wood construction (Walnut) with a hard board backing. A foam pad with red foam cover lining keeps your items secure against the glass lid. 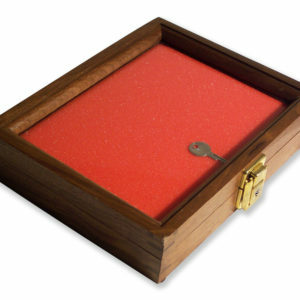 The case has brass hinges and keyed lock to keep your items safe.